Minister of Transport, Communication and Information Technologies Hakob Arshakyan on Monday received Italian Ambassador to Armenia Vincenzo del Monaco to discuss bilateral cooperation opportunities and prospects. Greeting the diplomat, the minister hailed particularly the effectively continuing cooperation in the highway development sector, which he said needs to be deepened in the future along with the efforts towards establishing and expanding partnership in the field of high technologies. The ambassador, for his part, thanked the minster for the reception, offering his congratulations to the new government of Armenia. 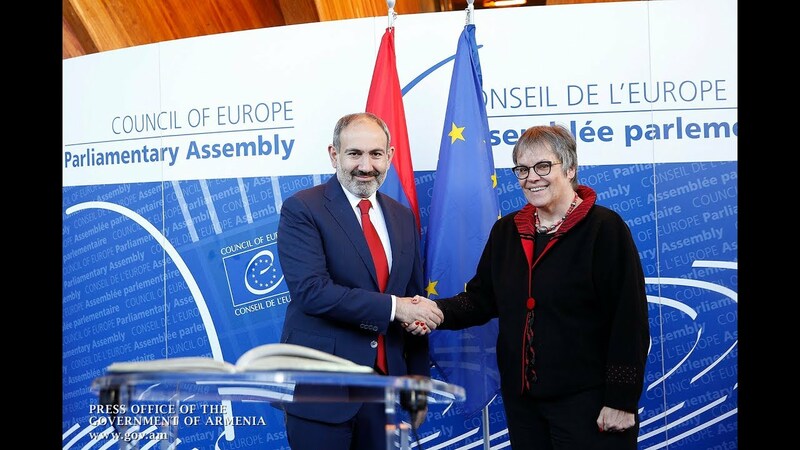 Admitting that Armenia and Italy have established positive relations in not only the transport and road development sectors but also in various areas of economy, he agreed that the two countries have the necessary potential to further deepen the partnership and expand the frameworks of cooperation. Minister Arshakyan briefed the guest on different Armenian organizations' engineering capacities, outlining the trends promising realistic perspectives of future cooperation in the fields of artificial intelligence, robotics, driverless testing, digitalization, etc. The minister said that Armenia potentially treats Italian companies as a good partner and sees promising opportunities to develop cooperation with them in high technologies. He proposed organizing an Armenian-Italian business forum for HighTech companies attracting specialists from both countries. The ambassador said that Italy currently has very interesting technological projects, actively developing startups and focusing on the concept of "smart city" as "the philosophy of the technologies' future;. He also briefed the minister on the developing cooperation between the Polytechnic University of Milan and the National University of Architecture and Construction, where he said a professor from the Milan university will conduct a master class in the near future to introduce Armenian students to the Italian experience. According to a press release by the Ministry of Transport, Communication and Information Technologies, the sides also discussed the agenda of the 2019 World Congress of Information Technology (scheduled to take place in Armenia from 6 to 9 October). The minister highlighted the importance of Italian companies' high-level attendance at the event. The ambassador and the minister also agreed on plans to coordinate the future cooperation trends and develop a roadmap outlining the possible steps to intensify the bilateral technological cooperation.